Call a Riu Resorts Wedding Specialist Today! "The Wedding was great! Our friends and family had a great time and we all loved Riu Cancun! We can't wait to go back for our Anniversary." Looking for something different? Let Mexico Vacations and Travel book your Riu Resort Destination Beach Wedding and save yourself the hassle! Destination weddings are far less work than traditional weddings. RIU RESORTS offer several Wedding packages with minimal requirements and include wedding planning packages and services, meaning the details get taken care of for you. Add up the travel, the dress, the reception bill, and you may be surprised to find out that destination weddings are often less expensive than traditional wedding. Book a Great RIU RESORT WEDDING now!. 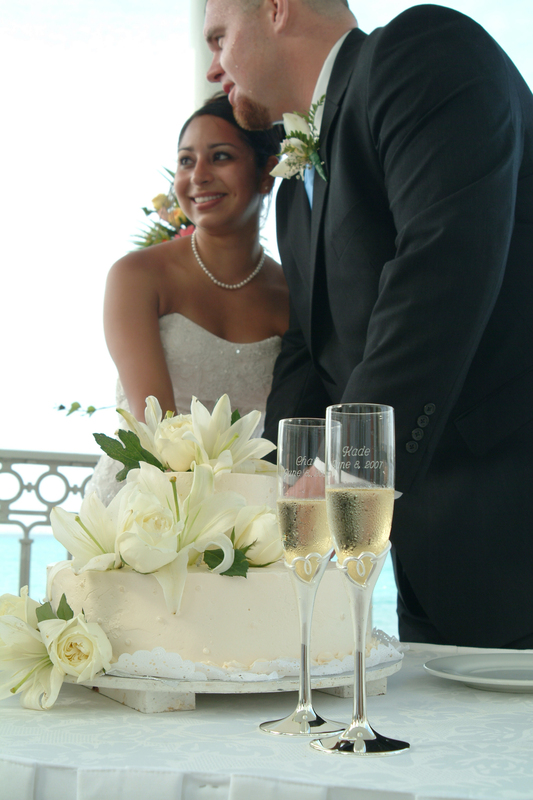 The weddings are available in Cancun at Riu Cancun, Riu Caribe and Riu Palace Las Americas. 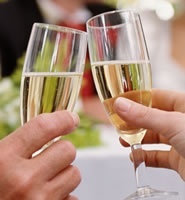 These Wedding Packages are available in Cancun, Riviera Maya, Puerto Vallarta and Los Cabos. Please review the details and prices for 2008 in Cancun. In order to have a wedding at our RIU Hotels & Resorts, the couple and the 80 percent of the total amount of the wedding guests must stay at the hotel where the wedding will be performed. This is a strict Riu policy we must follow. **Please be aware that before booking your wedding you must read our Frequent Questions . Hotel Riu Cancun - Situated in the heart of Cancun, this magnificent oceanfront property rests on an extensive fine sand beach. In this comfortable hotel, everything has been designed to enjoy the radiant sun and the crystalline waters of the Caribbean Sea. Hotel Riu Caribe - The Riu Caribe Hotel is RIU’s all inclusive resort with an unmatched location right in the heart of Cancun’s hotel zone. Located on a stunning beachfront property with unparalleled views of the Caribbean Sea, this Mexico vacation offers the perfect combination of beauty, convenience and luxury. Hotel Riu Palace Las Americas - Located in the heart of the Cancun hotel zone, the Riu Palace Las Americas will surpass all of your expectations and pamper you with luxury. Right outside your door you will find Cancun has a variety of enjoyable activities available to captivate you. **Please note: wedding prices are provided BY the resort and are valid at time of printing. Amenities & prices are subject to change. We can customize a group's itinerary based on your specific requirements.